I have never been a great fan of autumn. All the untidiness and decay just doesn’t work for me. I generally console myself with planning for spring, whilst others are enjoying the glories of this mellow season. But having missed most of September travelling in hot and steamy Asia, I am finding it hard not to appreciate the cool nights and balmy days I’ve returned to. By last weekend I was desperate to reconnect with our seaside garden and the Kentish countryside. We’re fortunate that Goodnestone Park is only a short drive away, through a patchwork countryside of apple orchards and hop fields. The hedgerows here are already crowded with the scarlet berries of rowan and plump hips of dog rose. In this time of plenty the birds are content to leave these tempting treats untouched, but it won’t be long before the laden branches are picked bare. 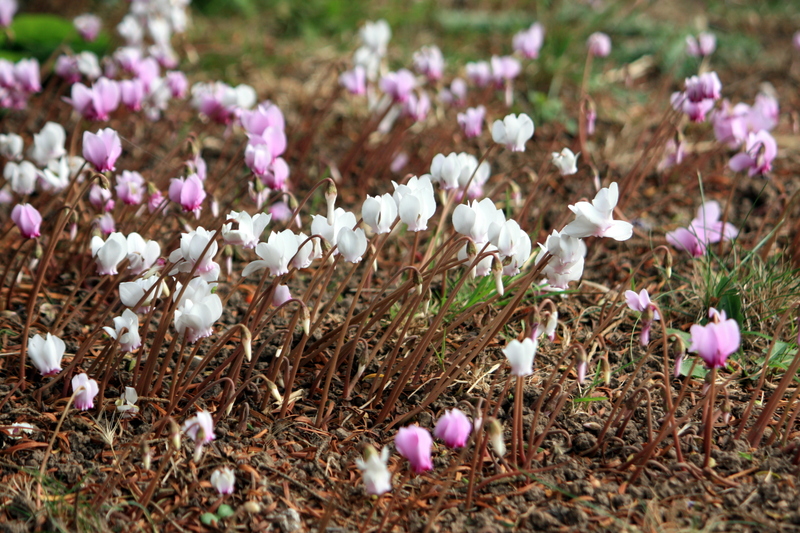 Under the trees at the entrance to the garden, the bare ground was scattered with a delicate confetti of Cyclamen hederifolium. 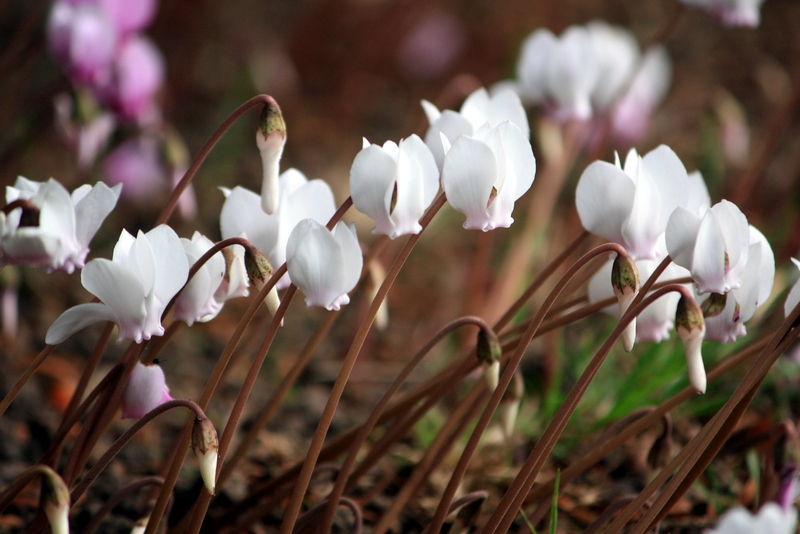 The emergence of these tiny, vulnerable blooms is a sure sign that autumn has arrived. 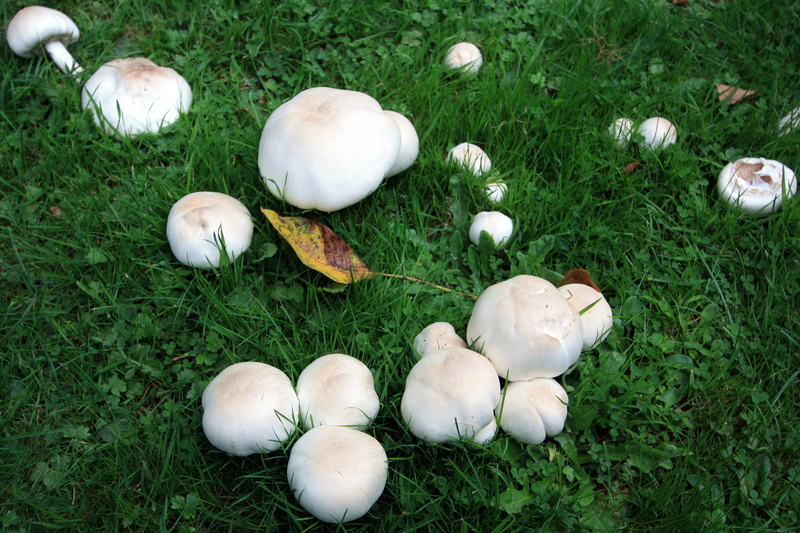 Field mushrooms are a rare sight these days, but several patches emerged from the lawns as we approached the woodland garden. In spring, the woods at Goodnestone are full of beautiful dogwoods, one of the garden’s finest attractions. 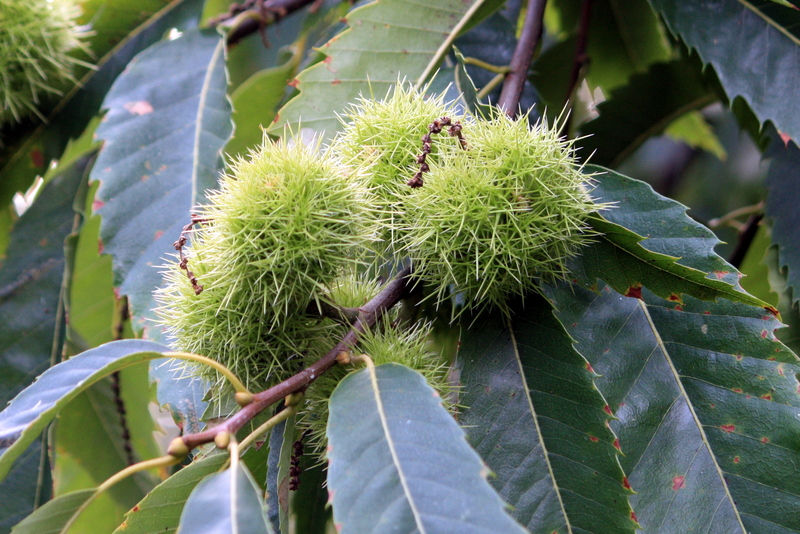 These small, hardy trees form a distinctively tiered shape as they mature. The equally distinctive flowers range in colour from pure white to deep pink, followed in autumn by these curious spherical fruits. They would look just as at home in a rock pool or attached to a coral reef. 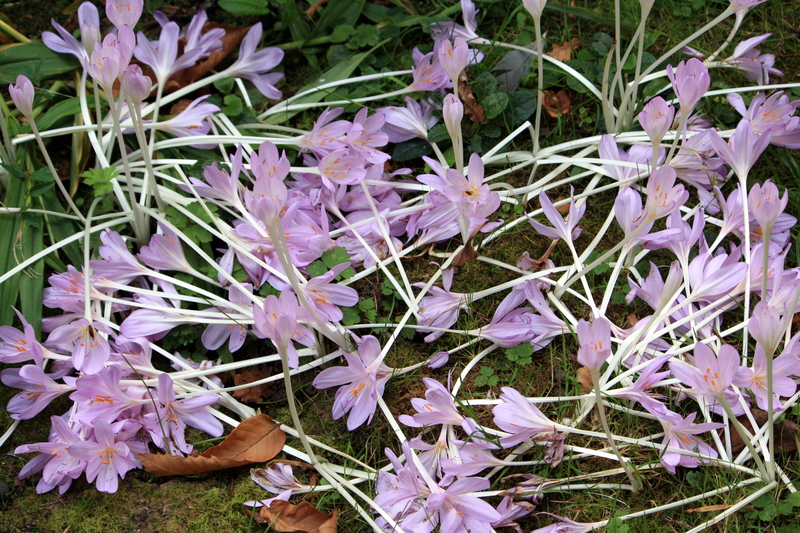 Back at ground level, the ethereal flowers of Colchicum autumnale emerged between shrubs. Here’s a plant with a bit of a gender crisis, being commonly known as both naked boys and naked ladies. 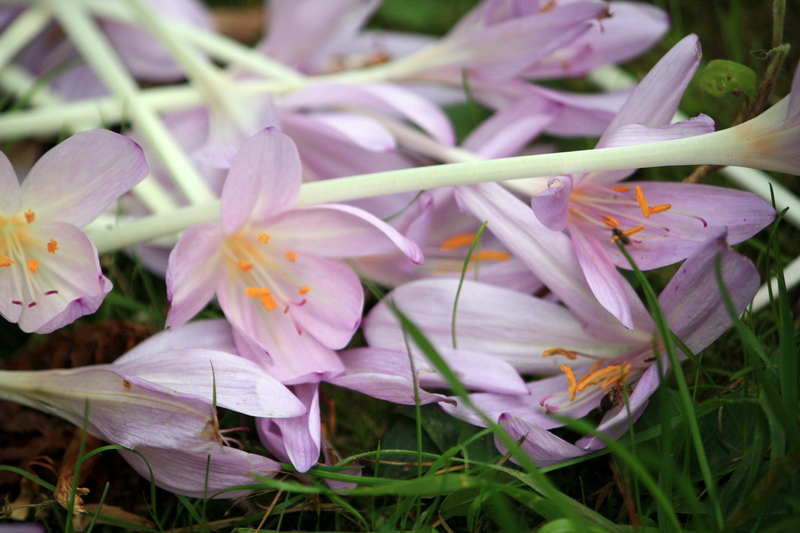 Judging by the exhausted look of this clump the naked boys and naked ladies had been having fun whilst no-one was looking! Beautiful as these flowers are, they are prone to flopping over, so are best grown in grass where the flowers won’t be splashed with soil. Thanks to the garden’s acid soil, the hydrangeas here are the truest of blues, extending the season of interest right into October. In the dappled shade, the cool blues and greens stood out fresh and strong beneath the venerable oaks. 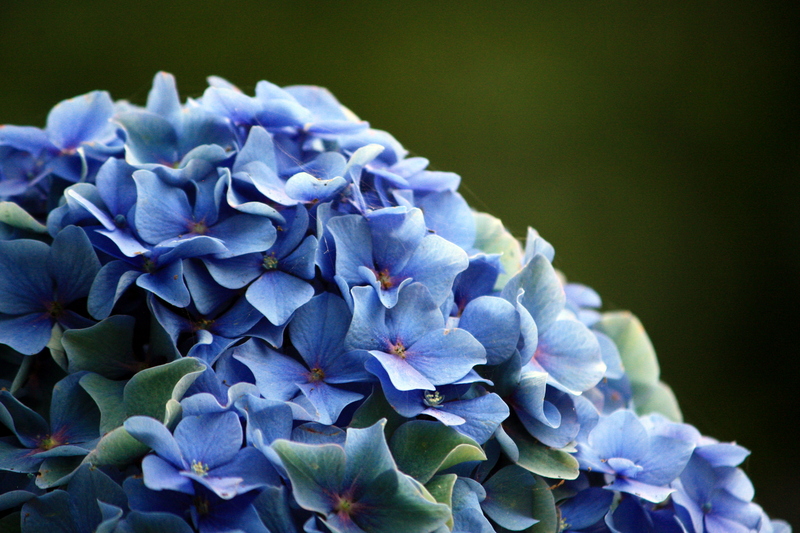 Blue is not a colour displayed by many autumn flowers, so is all the more precious for its scarcity. I’m going to leave it there for now, but will be posting more about our visit to Goodnestone and its beautiful walled and gravel gardens soon. 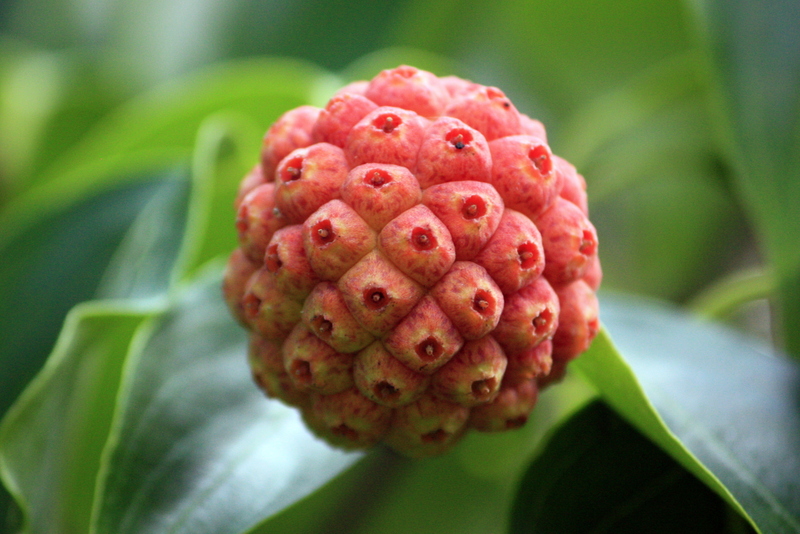 Nothing says autumn better than Cyclamen hederifolium and flowering dogwoods fruits! Lovely garden.